DeLaval outgrew its old facilities and opened a new European distribution centre in Gallin, Germany. The new centre is designed for energy efficiency and environmental sustainability and will provide modern logistics services. The facilities enable improved safety standards for the handling of products and quality assurance processes. It also increases capacity, with 57,000 square metres of storage space. Greater order flexibility, reduced lead times and the ability to store all products under one roof means greater efficiency. In 2017, DeLaval and Tetra Pak joined forces to offer chemical cleaning solutions to common customers in North America. The division responsible for the initiative provides consumables to food production facilities, now with a formalised business model that identifies cleaning chemicals that are best suited for Tetra Pak customers and clarifies the total solutions approach to ensure safe food production in less cleaning time. 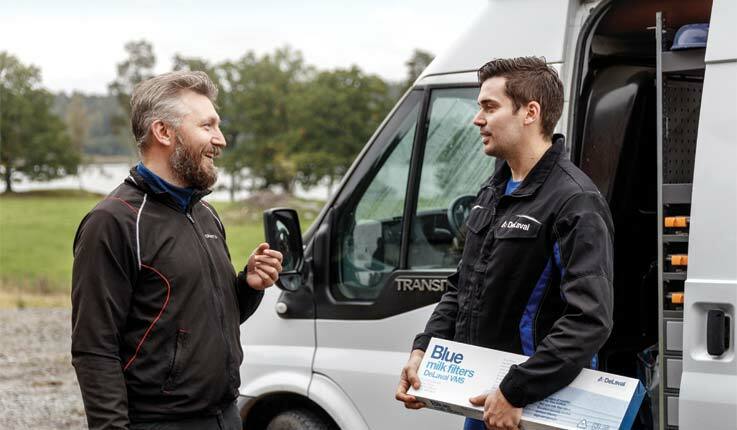 “The combination of innovative cleaning products, food production knowledge and a strong, loyal customer base creates a unique opportunity for DeLaval and Tetra Pak to jointly offer customer value beyond what we could do alone,” says Steve Harris, Director of DeLaval Cleaning Solutions. 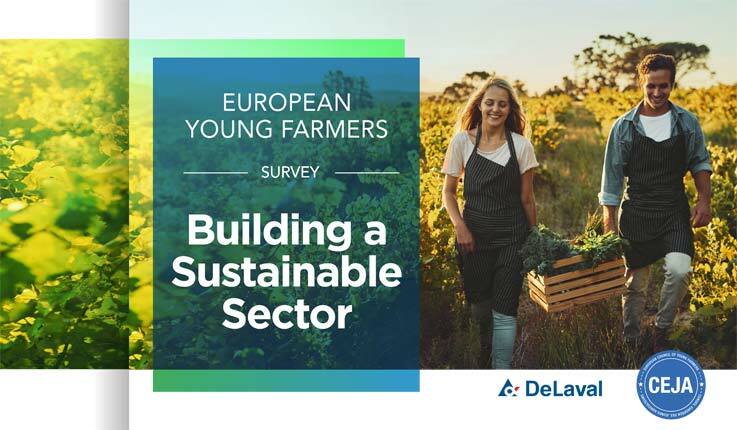 CEJA – the European Council of Young Farmers – and DeLaval conducted an EU-wide survey among young farmers in 2017. The survey revealed interesting factors that are important in running an economically sustainable farm. Young farmers feel responsible for ensuring a sustainable agricultural sector and see the importance of animal welfare to improve both profitability and sustainability. Furthermore, the survey pointed out that the significant barriers for young people to enter or remain in the agricultural sector are: a fair income level, access to land, simpler administration and fair competition in global markets. Farmers need investments for farmland expansion, knowledge development and new technology, which future policymakers should take into account. The milking machine that laid the foundation for modern dairy farming, the DeLaval Milker, just celebrated its 100-year anniversary. 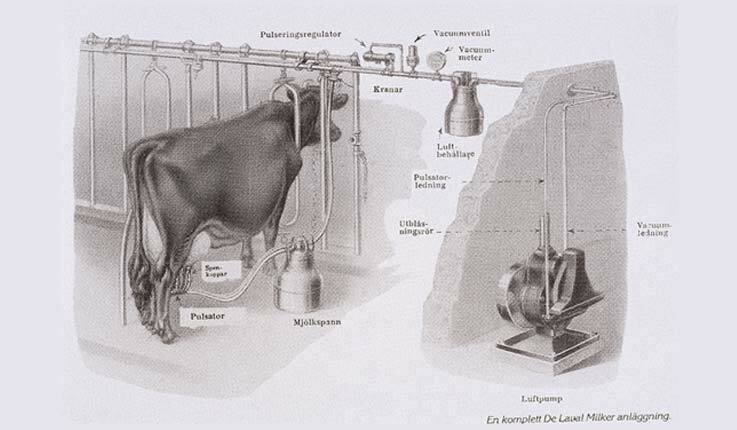 Patented by New Zealander Norman John Daysh in 1917, it has been used as the model and inspiration for all vacuum-operated milking machines ever since. When Norman looked for a company that would be interested in his design, DeLaval recognised the potential of the machine that would revolutionise the industry. The innovative spirit remains strong, as engineering excellence, the welfare of dairy cows and the vision of an efficient and safe industry remain just as important today as they were a hundred years ago. DeLaval offers service and consumables in a cohesive package called InService™ All-Inclusive. Everything customers need for daily operations can come from one speaking partner. Consumables such as liners, tubes, detergent, teat spray, filters and oil that work seamlessly with DeLaval milking equipment can always be well stocked to ensure consistent milk quality and yield. Milking systems need service at regular intervals and with InService™ All-Inclusive, DeLaval ensures that equipment is well maintained. The solution is based on a fixed payment model so that farmers can more easily plan their operations. Solving our customers’ biggest challenges is our job. To do this, we have a variety of packages and services that offer training and advice to our many customers around the world. 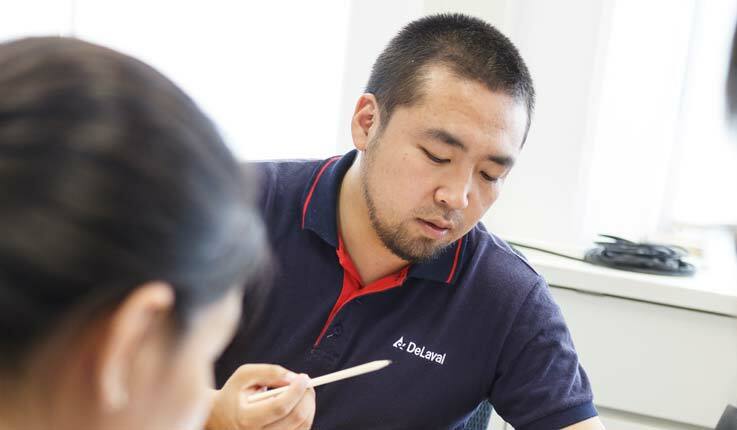 From milking performance and milk quality advisory in China, to VMS and nutritional support in Denmark, we have advice experts working in local markets to support and consult. A recent initiative in Advisory services focuses on standardising customer product training and certification on a global level to create better alignment, transparency and consistency. By bringing together key people who work closely with our customers worldwide, we asked them to share their knowledge and experience to form a common strategy for our services. The result is a consistent, high-quality, and robust offering that we can apply in any of our markets as well as a deeply connected global team, strengthening the knowledge base that we share with our customers. Ever since 1894 when our founder Gustaf de Laval purchased Hamra farm, it has been a constant source of inspiration and innovation. It’s not only a working modern dairy farm, it’s the heart of DeLaval’s R&D and product development, where all of our products are tested on our own cows before they are released on the market. The facilities include several barns with about 250 milking cows and 240 heifers. 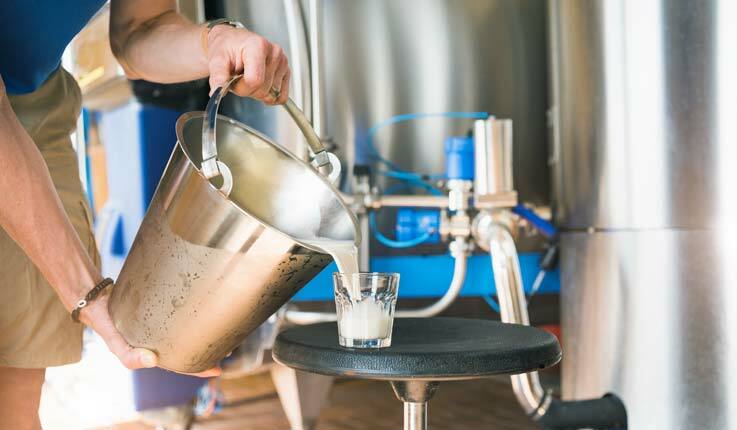 Both software and equipment undergo constant testing on the farm and there are rapid developments in both automated and manual milking, especially when it comes to software that controls management systems and feeding solutions. A relatively new product is the DeLaval body condition scoring BCS, which scans cows and determines their body fat, enabling the farmer to individually adjust and optimise feed amounts and identify problem cows, thereby improving animal welfare and securing food safety. DeLaval takes food safety seriously and is committed to ensuring that materials and products that may come into contact with milk comply with applicable laws and regulations, wherever DeLaval places them on the market. Our agreements with suppliers obligate them to comply with applicable laws and regulations. 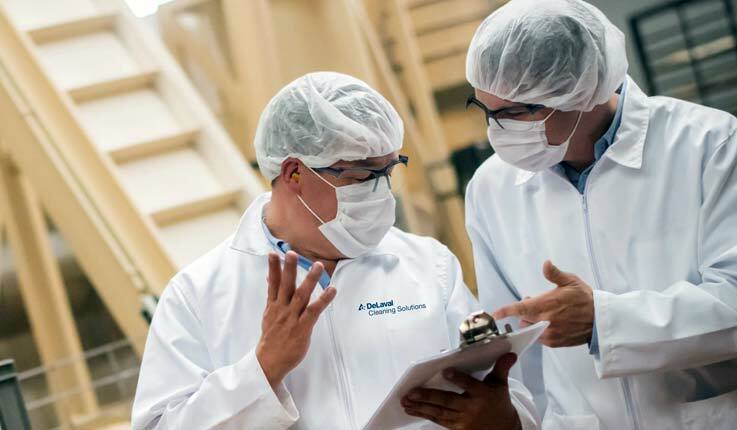 To further ensure that product and food safety is an integral part of DeLaval’s procedures, we recently established a global policy to further clarify our commitment to fulfilling this undertaking. Every part of the DeLaval value chain contributes – from safe and hygienic design, selection of suppliers of components and materials, to user instruction books, installation and customer service. This is an important foundation for how we are committed to work with our customers. In October 2017, DeLaval, in partnership with Business France, brought some 200 goat farmers together in Moscow for an international conference. Topics ranged from the global experience of building goat and sheep farms to technology and the challenges of herd management. 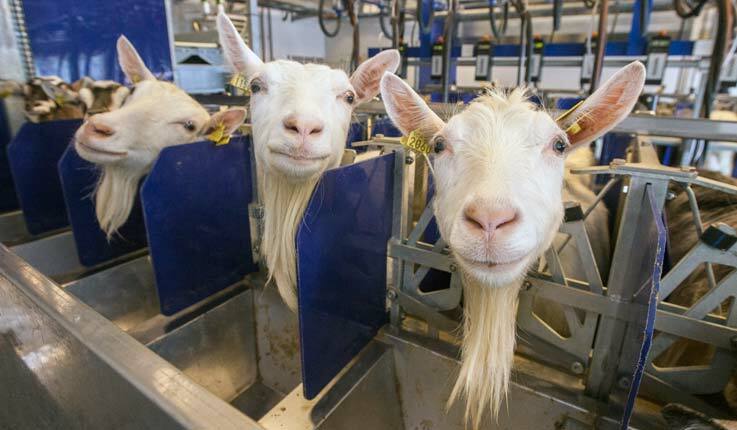 Participants could, thanks to virtual reality, “visit” goat farms that are using DeLaval equipment. Goat cheese was of course a major part of the conference and French cheese expert Quentin Lecornu shared his expertise in addition to a large-scale testing of products.